ARLINGTON, Va. — The redesigned 2-door Honda Civic earns the Insurance Institute for Highway Safety's Top Safety Pick+ award when equipped with an available front crash prevention system, which earns a superior rating. Like the previous version of the small car, the 2016 model earns good ratings in the Institute's small overlap front, moderate overlap front, side, roof strength and head restraint evaluations. A new feature is the optional front crash prevention system. In IIHS track tests at 12 mph and 25 mph, a two-door Civic equipped with the technology avoided collisions. The system also includes a forward collision warning system that meets National Highway Traffic Safety Administration criteria. The 4-door Civic's Top Safety Pick+ award was announced earlier. 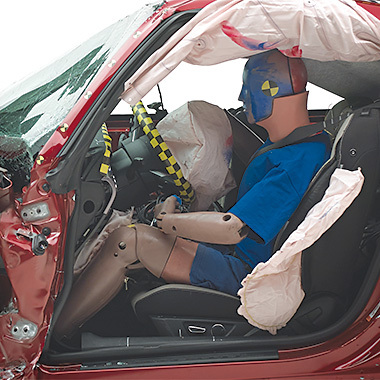 To qualify for the Institute's top award a vehicle must have good ratings in all five crashworthiness tests and an available front crash prevention system that earns an advanced or superior rating. ARLINGTON, Va. — The redesigned Audi A4 secures a Top Safety Pick+ award from the Insurance Institute for Highway Safety by offering good protection in a small overlap front crash and a superior-rated, standard front crash prevention system. The previous generation of the luxury midsize car rated poor in the small overlap evaluation. In that test, the structure didn't hold up, with intrusion into the driver's space reaching 11 inches at the footwell and the instrument panel. 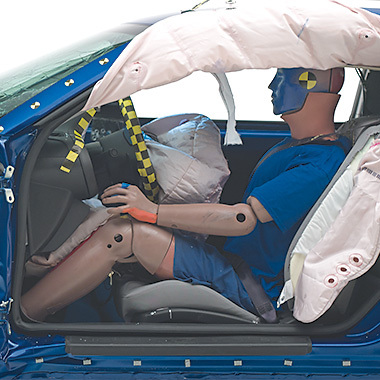 The steering column moved toward the driver and to the right, and the dummy's head slipped off the left side of the airbag. The driver door opened, which would put the driver at risk of ejection in a real crash. In contrast, the 2017 A4 had maximum intrusion of only 3 inches at the footrest. 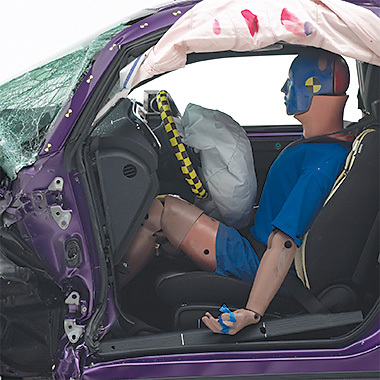 The dummy's head hit the front airbag and stayed there until rebound. Like its predecessor, the 2017 model earns good ratings in the moderate overlap front, side, roof strength and head restraint tests. The redesigned model has a superior-rated, standard front crash prevention system — a step up from the advanced-rated system that was only available as an option on earlier models. In the 12 mph IIHS track test, the vehicle avoided a collision. In the 25 mph track test, impact speed was reduced by an average of 22 mph. The system also has a forward collision warning component that meets National Highway Traffic Safety Administration criteria. A different, optional front crash prevention system available on the A4 also earns a superior rating. The Institute's new headlight ratings aren't yet part of the awards criteria. When equipped with LED headlights and high-beam assist, a feature that automatically switches between high beams and low beams based on the presence of other vehicles, the A4 earns an acceptable rating for headlights. All other headlight combinations on the A4 earn a marginal rating. ARLINGTON, Va. — The 2016 BMW X1 qualifies for the Insurance Institute for Highway Safety's highest award after a redesign boosted its performance in the small overlap front crash test. The small SUV also has a new optional front crash prevention system that earns an advanced rating. The X1 earns a good small overlap rating. In the test, the driver's space was maintained reasonably well, with maximum intrusion of about 4 inches at the lower door hinge pillar and at the instrument panel. 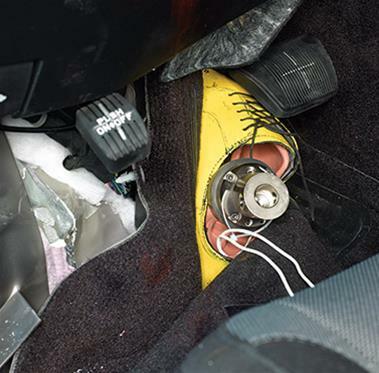 In contrast, in the test of the previous version, intrusion reached 16 inches at the footwell, trapping the dummy's right foot. Like its predecessor, the new X1 earns good ratings in the moderate overlap front, side, roof strength and head restraint tests. The X1's newly available front crash prevention system earns an advanced rating from IIHS. In track tests at 12 mph, impact speed was reduced by an average of 10 mph. In the 25 mph tests, impact speed was reduced by 7 mph. The system includes a forward collision warning component that meets National Highway Traffic Safety Administration criteria. ITS Costs >> Capital costs of HOV conversion to HOT lanes total $8,716,000 with annual operating costs beginning at $1,294,922.